Possibly Apocryphal – Page 5 – Where the sacred bleeds into the profane. It may not have happened, but it's all true. I’ve been a recovering bread baker longer than I was an in-fact bread baker. 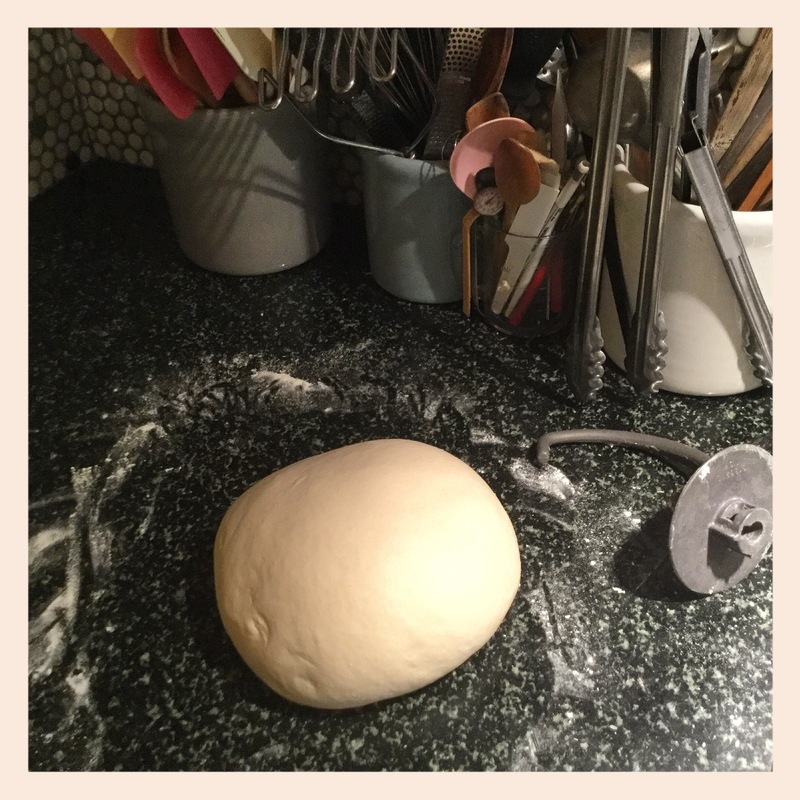 As I told a friend, in re baking bread, the only thing to be worried about is getting bit by the bug, because recovery is long, maybe endless, and fraught with recidivation. 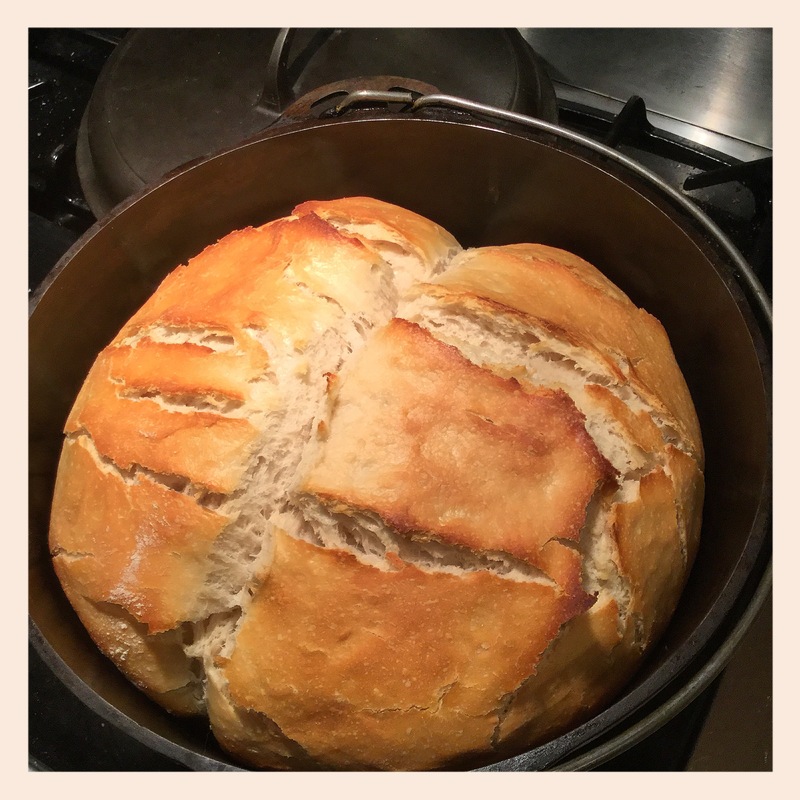 Or loaves, more like—the bifurcation is the way my friend John, whose family recipe and 125-year-old-plus starter this is, was taught by his Mom. 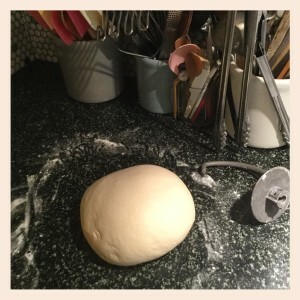 (More on John, and Missouri farmhouse sourdough, anon.) The top doesn’t often crack—sourdough Force was strong yesterday, probably due to the sort of blessedly cool, low-pressure weather system welcomed by all rising doughs. So ya, I can quit anytime. Not quite finished with pumpkins, after all. 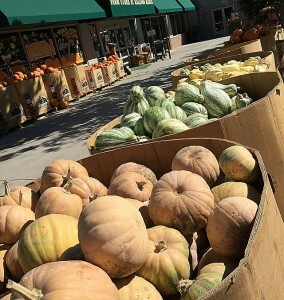 On the way back from Barstow and on the way to my husband’s parents’ house for a quick visit, we stopped at the Cal Poly Pomona Farm Store at Kellogg Ranch. I’m a long-time, loyal customer of the Cal Poly ag students’ fruit and veg—they sell at the big Irvine Saturday farmers market, the only place other than the store that their produce is available to buy—but I’d never been to the on-campus store. So yesterday was the day—an easy stop between Barstow and Brea. Yabbit guess what the ag students were selling in profusion, lo this autumn-specific time of year? That’s right. So you know I did what I had to do. We also visited the school’s Innovation Brew Works and bought a growler of the student-made Belgian style ale from the extensive list for our own beerist college student at home. It was very “Nozin’ Aroun’”: Beer BY young adults FOR young adults. I also signed him up for the brewery’s loyalty program, hope he doesn’t mind. It’s fitting that my previous post about eggs (nominally) is followed by one on pumpkins, because pumpkins are my second-favorite natural form. After eggs, to belabor a point. And when pumpkins combine with road tripping, watch out, because as Max says in the “Hart to Hart” opening preamble, it was murder! OK not really OF COURSE. 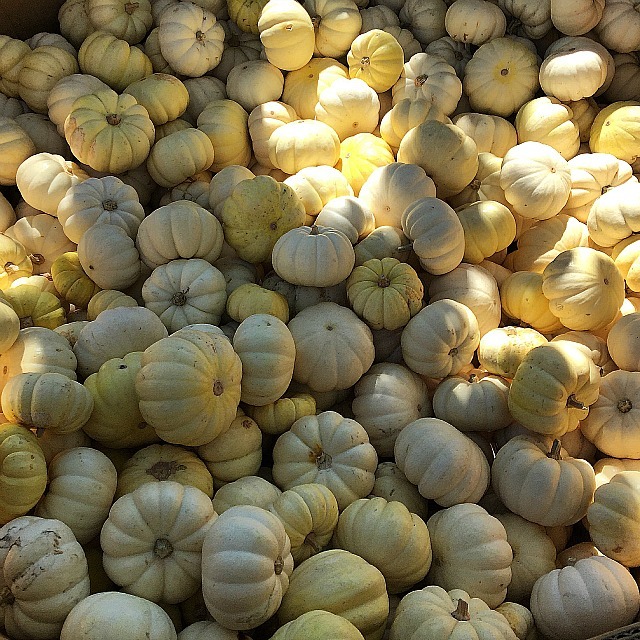 I just mean that after road tripping this time of year a lot a lot a lot of pumpkins appear at my house, like the pretty good haul in the lower right photo, from Lompoc last week. Road-trip souvenirs join the inevitable previous others which have been locally procured. 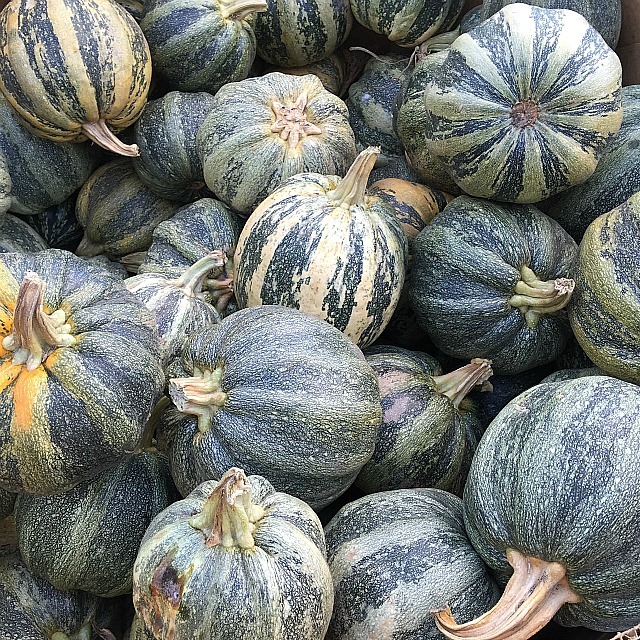 For a couple of years, we had a fabulous fancy-pumpkin purveyor at Orange County farmers markets, selling a ton of heretofore-unseen varieties, including many good for cooking and eating—that’s one year’s Fresno-area-grown selection in the upper right. Combing through my photos for evidence of my pumpkin history, I turned up some others, but not all. Enough, though, I think. 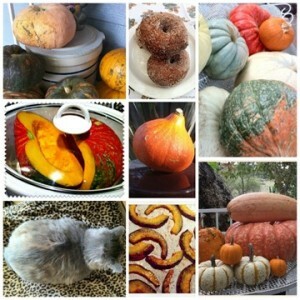 You might notice that bottom left… not an actual pumpkin. It’s Ashley, our so-we-think Siberian forest cat, who came up out of the creek half-dead several years ago and has lived here happily since. Before rooting around in my photos I started with a couple of searches, and this overhead shot turned up. I’d labeled it pumpkin because, well, when Ash sits in a perfect loaf like that she reminds me of my favorite cucurbit. At the left middle there, one of my slow-cooker experiments with pumpkin. Turns out to be an excellent way to cook pumpkin for purée, though without the caramelization that roasting develops. But there’s a lot to be said for the push-the-button-Frank ease of slow cooker cooking—about which more, much much more, anon. Top middle, excellent pumpkin doughnuts made with the leftover purée of some 2012 specimen, and bottom middle, roasting kabocha crescents from December 2014. In the middle, a potimarron or red kuri, one of the very finest squashes extant. The marron in the French name refers to its chestnut flavor, but that’s only part of its charms. Not easy to find in regular civilian provisioning, though—if you see one, grab it. Well, the pumpkins are in. So. Now, for those that escape cooking, the question becomes, how long will they stay before I can bear to part with them? Without going into specifics: A scandalously long time.